Anni Baldaugh (1881 – 1953) was an accomplished portrait painter, sought after by San Diego society for her fresh and original paintings, like “Murial” shown below. “Madame Baldaugh is one of San Diego’s prominent painters, being one of the few top-notch artists to make her residence here. She comes before the public eye frequently”. 1. What she did when the Navy took over the Fine Arts Gallery and turned it into a Navy hospital in December, 1941, may surprise you. She put aside her stylish hat and suit (see the only photo we have of her, at left) and, wearing camouflage, she went into the hospital to teach art to the wounded warriors. She was welcomed by the staff and the recuperating patients. 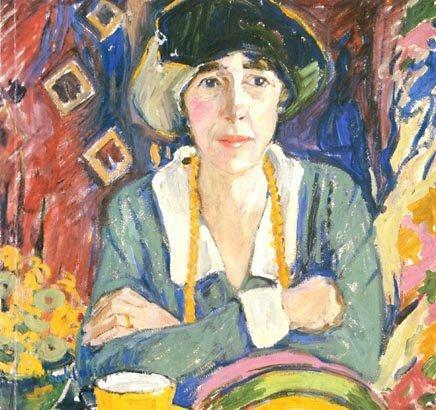 This portrait of Murial de Kruif was done in LA in 1926. Baldaugh continued to exhibit it in competitions across the country where it continued to gain favor as late as 1947. 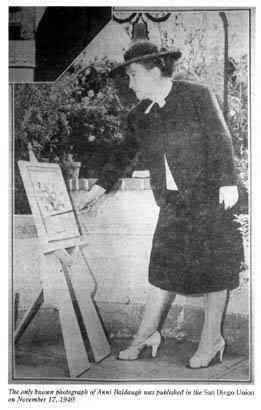 The Art Guild of San Diego sponsored a modern art exhibit in 1939. Baldaugh won first prize for her witty and slightly sarcastic painting, “Reincarnation”, done in a German Expressionist Style. 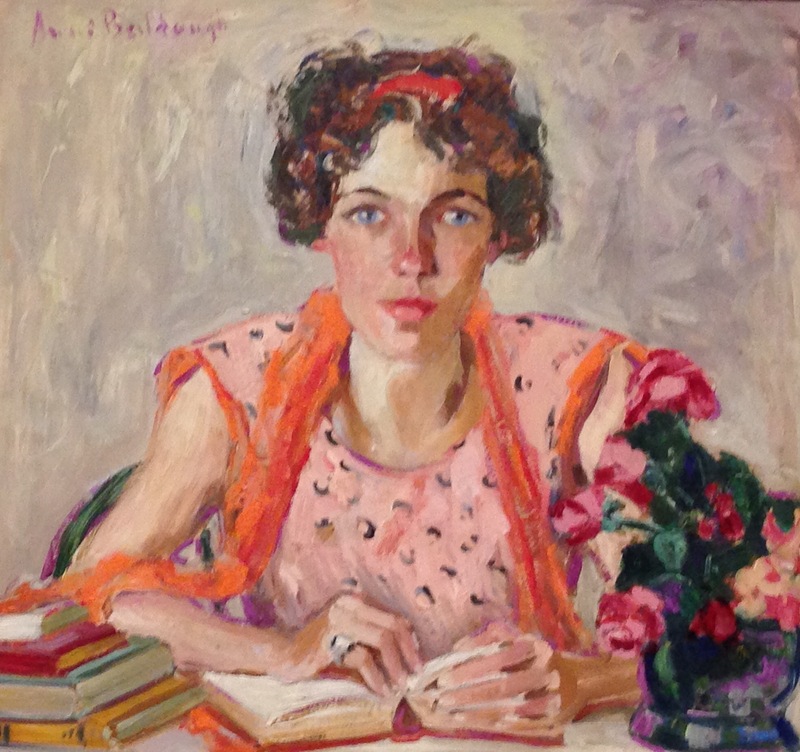 Reginald Poland, director of the Fine Arts Gallery of San Diego, had her work, “Donna”, purchased for the Museum’s collection in 1931. 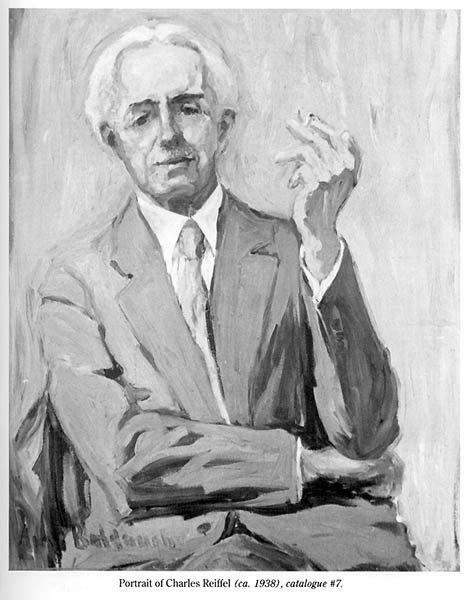 In 1952, Baldaugh donated her painting of Charles Reiffel to the San Diego Fine Arts Gallery. This is one of the few portraits of men that are known to exist. Anni Baldaugh is only one of the outstanding women artists whose talents blossomed in San Diego. As members of the Art Guild, these women supported and were supported by our Museum. The tradition continues in today’s Artists Guild. If you are a History buff, why not join the History Committee as we prepare to celebrate the Guild’s 100th Anniversary with our work, 100 Artists over 100 Years. Contact Historian, Jody Abssy, at history@sdmaag.org. Photos from San Diego Historical Society collection.